FYI Resources Limited (the “Company” or “FYI”) is pleased to announce the commencement of an advanced drilling program at its Cadoux kaolin project designed to provide additional project information to the Company’s high purity alumina (HPA) process design testwork. CSA Global were appointed (see ASX release 28.3.2018) to design the drill program for the Cadoux kaolin project to augment the on-going metallurgical test work and to benefit the broader pre-feasibility study (PFS). The program is planned for 1,200m of Reverse Circulation (RC) drilling and will also include both extension and in-fill drilling on the existing resource. Additional supporting technical programs will also be conducted concurrently to the drilling. Located approximately 220kms northeast of Perth, the 100% owned Cadoux kaolin project is the foundation of the Company’s HPA strategy and was selected for its superior kaolin quality and characteristics. FYI is currently undertaking testwork for its suitability for HPA processing and refining. Testwork to date has been very positive (achieving targeted 99.99% grade and 97.1% mass recovery of Al2O3 / HPA) which has encouraged FYI to commence a PFS. The PFS is expected to be completed in June 2018. Remarking on the proposed drilling program, Mr Roland Hill, FYI Managing Director, said “This drilling program is significant to our overall HPA strategy in that it will provide us with a number of key points of project information but will more importantly improve our knowledge to assist with determining future developments. The benefit we will gain from the program is substantial given what is planned for further advanced metallurgical testwork, in contributing to the overall quality of the resource, and, to our understanding of the feedstock potential of the Cadoux deposit”. FYI’s is positioning itself to be a significant producer of high purity alumina (4N or HPA) in a rapidly developing LED, electric vehicle, smartphone and television screen as well as other associated high-tech product markets. The foundation of the HPA strategy is the superior quality aluminous clay (kaolin) deposit at Cadoux and exceptional positive response that the feedstock has to the Company’s moderate temperature, atmospheric pressure HCl flowsheet. The strategy’s superior quality attributes combine resulting in world class HPA project potential. The information in this release that relates to metallurgy and metallurgical test work is based on information reviewed and compiled by Mr Daryl Evans, a Competent Person who is a Fellow of the Australian Institute of Mining and Metallurgy (AusIMM). 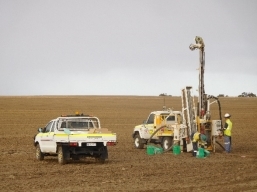 Announcements in respect to metallurgical results are available to view on the Company’s website at www.fyiresources.com.au. Mr Evans is an employee of Independent Metallurgical Operations Pty Ltd, and is a contractor to FYI. Mr Evans has sufficient experience that is relevant to this style of processing and type of deposit under consideration, and to the activity that he has undertaken to qualify as a Competent Person as defined in the 2012 Edition of the Australasian Code for the Reporting of Exploration Results, Mineral Resources and Ore Reserves (The JORC Code). Mr Evans consents to the inclusion of the information in the form and context in which they appear. The Company confirms that it is not aware of any new information or data that materially affects the information included in the original market announcements of 23 October 2017 and 22 February 2018 and that all material assumptions and technical parameters underpinning the findings in the relevant market announcements continue to apply and have not materially changed.